Jesus Arrested For Disorderly Conduct. Caught Mowing Lawn In Loin Cloth. 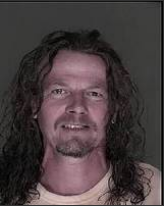 Fergus Falls, MN – Jesus who currently is parading around as a 43 year-old named Matthew Swanson, was arrested for disorderly conduct Wednesday afternoon while mowing the lawn in a loin cloth. It is believed that the Jesus part of Jesus got the better of him and he slipped out of disguise for a brief moment which led to the loin cloth mowing incident. Neighbors reported seeing a man resembling Jesus, mowing his lawn with his balls swinging about in the wind. Once police arrived, Jesus just casually continued to mow the lawn with balls in full swinging motion yelling obscenities towards the police. Jesus apparently dislikes the police as much as us humans. He just wouldn’t stop which led to the arrest.